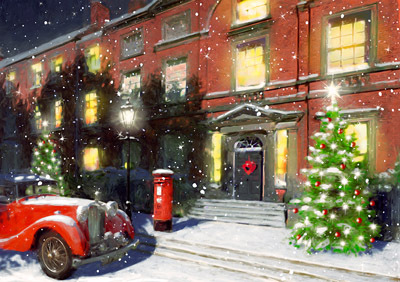 Home > Blog > Have you ordered your Christmas cards yet? There's Still Time! There’s still time to order your cards this year, we print right up until the week before Christmas. As long as you leave enough time for the people on your end to sign, stamp and send the cards there should be no problems. The easiest way to order is online via our website, simply select the card you’d like and fill out the order form that follows. Don’t forget to select the correct quantity, our minimum order is 50 cards. The chance to support a charity is optional, if you’d like to support one just find it in the drop down menu – if you can’t find the one you’re after just fill in the Other Charity Not Listed box below. We donate 10p per card to your chosen cause. To customise the inside of your card you can select one of our standard greetings or if you’d prefer something more unique to you and your company you can create your own greeting free of charge. Alternatively if you have a font already in mind just let us know in the Special Instructions box and we can use the one you’d prefer. If you require any additional information such as a company address, phone number and/or website we can add this to the inside of your card too. Just let us know where you would like it placed by selecting the position from the drop down menu, this can be bottom left, bottom central or bottom right. For an additional charge of £25.00 (+ VAT) you can also add your company logo and employee signatures to the inside of your card. This can really save you time, especially as Christmas is getting closer! If you’d like your logo or greeting in colour, this can be done for an extra 20p (+ VAT) per card. You can place your order via the website, by email or over the phone – whichever method you choose we hope to make the process fast and hassle-free. You’ll receive a PDF proof of your chosen design the same day, once we have your approval we’ll process your order and you’ll have your cards within 7 working days. We never print your artwork until you are 100% happy. All amendments and delivery to one UK mainland address is free of charge. All cards come with free peel and seal envelopes and a free gift. 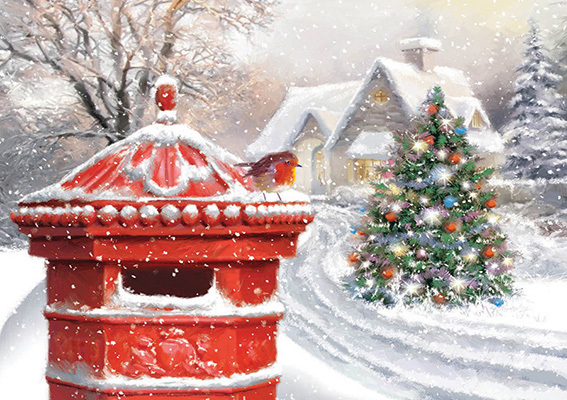 Click here to view the full range of Company Christmas Cards or Click here to request up to 6 free samples.